There are REAL trends against the conspiracy to impose prohibition against pest control products used in the urban landscape. There are dozens and dozens of jurisdictions that have stopped or rescinded or limited or invalidated or beginning to repeal anti-pesticide prohibitions and restrictions, or granted professional lawn care businesses with an exception status. Officials stopped a proposed prohibition and stated that the province would not create prohibition that conflicted with the federal government. The municipal mayor strongly and publicly opposed the proposal for a provincial prohibition. Council rejected legislation that would have prohibited against the use of pest control products on county-owned playgrounds. Council members voted against Bill 76-16, legislation which sought to self-impose prohibition against the county’s Recreation and Parks Department. For the control invasive weed pests and destructive insect pests, the proposed prohibition would have only allowed ineffective green alternative pesticides ― conventional and effective pest control products would have been prohibited. Parks department staff reported that organic green alternative pesticides and practices proved largely ineffective for controlling weeds, and parks commissioners unanimously rescinded the municipal prohibition, and re-authorized pest control products on baseball and softball infields. Parks staff tried to burn weeds along concrete and asphalt with propane torches, but that was also NOT effective. And volunteer weed-pickers were also ineffective. Weeds took over the dirt areas of the infields, creating an uneven and unsafe surface, and presenting a liability issue for the parks department. Commissioners also unanimously rescinded early sign-posting. Officials voted-off and stopped a proposal for prohibition because they believed that this was a provincial initiative, if not federal. A proposed municipal prohibition was stopped because council believed that the provincial and federal governments should be in a much better position to establish more effective and enforceable legislation. Additionally, officials announced that there would be no prohibition against licensed applicators who were granted with an exception status. City council steered clear of and stopped an outright total prohibition, since it was proven in other jurisdictions that these bans do not work. Officials discarded the city’s self-imposed prohibition on its municipal green spaces because of the invasion of noxious weeds. Sharp Park will remain a golf course after a federal judge dismissed a legal challenge from environmental-terrжrist-organizations. This golf facility has been under a siege from golf-hating environmental terrжrists under the pretext of somehow protecting obscure and insignificant species. In fact, Sharp Park Golf Course has NOT harmed ANY animal species. Golf-hating terrжrism will never end unless the golf industry strikes back ! City councillors rejected a staff recommendation for prohibition, and the proposal was extinguished. Health Canada has found that glyphosate does not present risks of concern to human health or the environment when used according to label directions. The evidence in favour of glyphosate is overwhelming. Products containing glyphosate are UNLIKELY to affect your health. Dietary risks from food and water are NOT of concern. Non-occupational risks from by-stander dermal exposure are NOT of concern. Glyphosate products are NOT expected to pose risks of concern to the environment. City council imposed a limited municipal prohibition, but professional lawn care businesses were granted an exception status for the treatment of damaging insects when certain threshold levels have been exceeded, with a cost of 50 dollar municipal administration fee for every application. The fee is part of the new pesticide by-law, a prohibition with pay-for-spray predatory-permits providing exception statuses. See also … Stratford. Summerside. Commissioners cancelled the failed practices of Integrated Pest Management and rescinded prohibition because green alternative pesticides did not work and parks became over-run with weeds that covered sixty per cent of the playing surfaces. Coquitlam bucked the green trend among British Columbia cities by choosing not even to explore a prohibition or a restriction against pest control products used in the urban landscape. City council voted to approve the use of vegetation control products in the town’s lagoon area. City council voted unanimously to reject and stop a proposed prohibition against pest control products and synthetic fertilizers on city parks and personal property. City councillors turned down and stopped calls to prohibit pest control products, opting instead for a report in two years outlining any progress in reducing city use of these chemicals. Europeans have been rejecting Greenpeace’s fear-mongering, and are indicating that the jig is up ― the political tide, boosted by evidence, is starting to turn in favour of glyphosate. The majority of European Union nations DO NOT WANT anti-glyphosate prohibition. The European Union has voted to extend its re-approval of glyphosate for a period of 5 YEARS. Glyphosate was NOT approved for the typical 10 or 15-years because the EU review process was driven more by politics than science. Nonetheless, the European Union has vindicated glyphosate. The prohibition on the Lowell Park Pilot-Project was ended, and the spraying weeds was resumed because the city was forced to resort to the back-breaking and agonizing job of weed-pulling by hand, and could not find enough volunteers. National regulatory agencies around the world have vindicated glyphosate ― these agencies include those within the European Union, the United States, the United Nations, and Canada. These agencies has found that glyphosate DOES NOT present risks of concern to human health or the environment when used according to label directions. Officials reversed the municipal prohibition, and hired a contractor to apply at least three applications herbicides to eliminate so-called non-native weed species like dandelion because it was not otherwise possible to control weeds. Council agreed to an impassioned plea from local farmers and weed experts to rescind prohibition, and reinstated and resumed road-side herbicide applications in the township since weeds were spreading to adjacent farmland, triggering higher costs for farmers. The existing prohibition has been morally invalidated since several of those officials who were responsible for prohibition are now facing charges of fraud, corruption, and tax-evasion. So far, one government official has been convicted and jailed. Consequently, all Hudson’s existing prohibition, and all those municipal & provincial prohibitions that followed, have been morally invalidated. City council did not provide enough support for prohibition against all uses of pest control products, the proposal was temporarily stopped, and professional lawn care businesses were granted an exception status. A U.S. federal judge rescinded an ordinance-restriction that arbitrarily and illegally forced the agriculture industry to divulge what pest control products were to be used for crop protection. The judge’s ruling also struck down the creation of arbitrary and unnecessary buffer zones near public places like hospitals, schools, and parks. Despite the imposition of municipal prohibition against home-owners, officials granted an exception status to licensed applicators who should be allowed to use whatever pest control products they choose. With the self-imposed prohibition against the use of conventional pest control products, Lawrence had to resort to forcing volunteers to the back-breaking and agonizing job of manual weed picking. Consequently, government officials rescinded prohibition since residents were no longer interested to volunteer their time in a losing battle against weeds. Manual weed picking was a pesticide-free failure, and prohibition was rescinded. Because of self-imposed prohibition, parks surged with weed growth and looked like garbage dumps. Staff on their hands and knees weeding could not keep up with the weeds even with exorbitant costs in labour. Green alternative pesticides, like vinegar acid, were more toxic and more dangerous requiring protective masks and suits. Manual weed picking and vinegar were pesticide-free failures, and prohibition was rescinded. Fortuitously, the pesticide-hating and fanatжcal New Democratic Party ( NDP ) has been defeated by the Progressive Conservative Party of Manitoba, led by Brian Pallister. This signaled the end of the 17-year NDP reign of politicized anti-pesticide and environmental terrжrism. Because of the NDP provincial prohibition against conventional products like Killex, Manitobans have been arbitrarily forced to rely on inferior and more hazardous and failed green alternative pesticides like Fiesta. Consequently, observers expect that the Pallister Government will soon rescind prohibition. City council resisted efforts by green activists, and a proposed municipal prohibition was stopped. A limited provincial prohibition was imposed against several over-the-counter pesticide products containing the ingredient 2,4-D, but home-owners could still spot-treat weeds using pre-mixed over-the-counter products, and professional lawn care businesses were granted an exception status if their employees had the proper training in the failed practices of Integrated Pest Management, and if they do not use pesticides over more than fifty per cent of a lawn in one season. An exception status was granted to commercial applicators, despite a provincial prohibition, and resumed road-side spraying throughout the province to control vegetation to improve visibility and reduce moose-vehicle collisions. Residents defeated a proposal to prohibit pest control products used in the urban landscape, signaling a failure of anti-pesticide activists to make the community the first in the state of Maine to arbitrarily impose prohibition. First Maine Municipality To Ban Pesticide ? Ontario Premier Kathleen Wynne stopped a proposal for a province-wide prohibition against neonicotinoids because she believed that this was a federal initiative, and not provincial. The actions of renegade trade associations, like Ontario Bee-Keepers’ Association ( a.k.a. Sierra Club ), are despicable and destructive, since they demand reckless and arbitrary prohibitions against neonicotinoid insecticides used in the agriculture industry. Their acts of subversion will destroy the agriculture industry that desperately relies upon these insecticides. Began To Repeal Anti-Pesticide Prohibition ? Ted Chudleigh’s Private Member’s Bill 88 would have amended the Ontario provincial prohibition to allow professional lawn care businesses to apply some currently-banned products to lawns and gardens. City councillors have decided to see what the province does because its laws will supersede anything the city may do regarding prohibition. Officials nixed and rescinded its existing prohibition because of the failure of organic pesticide-free maintenance, and the stunningly exorbitant cost of maintaining green spaces with green alternative pesticides. Officials publicly opposed Manitoba’s proposed provincial prohibition because organic pesticide-free maintenance has not been proven as effective as conventional pesticides, and city councillors were concerned that such a prohibition was going to cost more money and could be the cause of more problems. A province-wide prohibition removed 240 products from use by consumers; however, businesses operating in the professional lawn care industry have been provided with an exception status; and 2,4-D herbicide has been prohibited from use by either consumers or businesses on lawns, but it is allowed in the golf industry. Even though a limited prohibition was put in force and finally implemented within a three year period, and although products containing 2,4-D were totally prohibited, it is a little-known fact that Quebec was never truly pesticide-free since it did not prohibit all pesticides, and continued to permit several conventional products. The province’s prohibition was eventually invalidated and defeated when a legal challenge was settled, and government officials were humiliated into admitting that 2,4-D did not pose an unacceptable risk to human health or the environment. The existing prohibition has been morally invalidated since it was defeated by a lawsuit, and the imposed prohibition has actually been limited with permitted active ingredients. Officials dropped and stopped proposals for a municipal prohibition because it was not supported by health and policy experts, and it was not supported by local residents. Even the city’s Environment Advisory Committee decided against prohibition several times when it was found that it was inappropriate. A city council discussion about the city’s role in the regulation of cosmetic pesticides resulted in the DEFEAT of a motion calling for future decision-making based on the Precautionary Principle, the will of the majority, and the recommendations by the Industry Task Force II On 2,4-D Research Data. The council debate, however, did not substantially change the city’s course when it came to plans to expand an existing cosmetic pesticides ban on public parks and fields, and to include private properties. A proposed anti-pesticide prohibition died another procedural death, and the prohibition was delayed and stopped. City councillors narrowly voted against prohibiting a chemical spray used to control brush along Newfoundland and Labrador’s highways. Voters rejected a proposal to prohibit against pest control products used by licensed applicators. 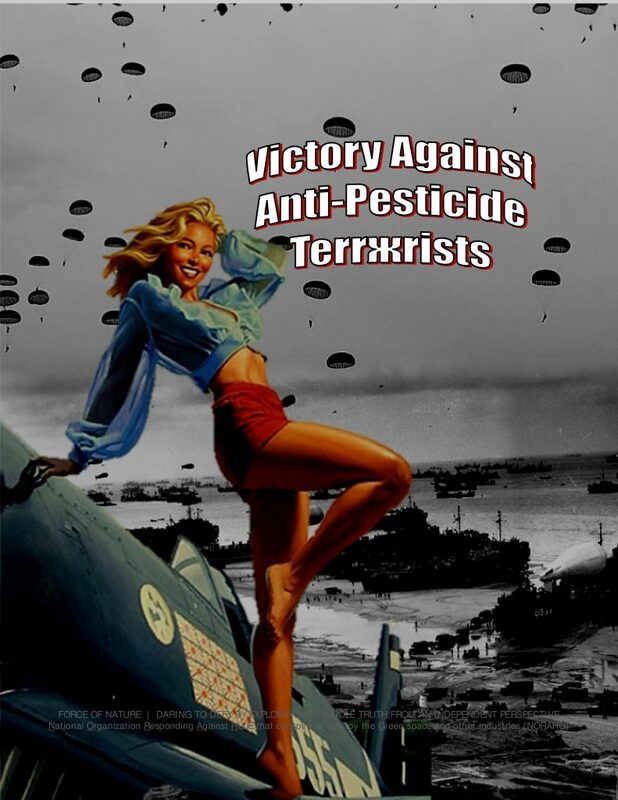 Despite being defeated by a 2 : 1 margin, supporters of the initiative vowed to regroup and promised that anti-pesticide terrжrism will never end in this Oregon county. Should Josephine County Ban Pesticides ?!?! Elected officials rescinded prohibition in favour of certified applicators, and provided lawn care businesses with an exception status. Mr Lyle Stewart, Minister of Agriculture, stated there will be NO provincial neonic prohibition. Saskatchewan DOES NOT currently plan to follow Ontario in implementing restrictions against neonicotinoid insecticides. Saskatchewan officials said they were guided by sound science. Officials rescinded its prohibition by replacing its 7-month-old policy promoting the use of organic pesticide-free maintenance with a new policy that allowed chemical pesticides on property owned by the town. City council joined other municipal councils to publicly urge the government of Manitoba to drop its plans for a provincial prohibition because people should have the right to choose for themselves how they best take care of their own lawns and the city should be able to choose how it takes care of its own green spaces. City council imposed a limited municipal prohibition against conventional domestic products, professional lawn care businesses were granted an exception status for the treatment of damaging insects when certain threshold levels have been exceeded, with a cost of 50 dollar municipal administration fee for every application. In essence, this loathsome municipality has despicably conspired to impose prohibition against conventional pest control products with the intention of profiting from the sale of predatory-permits. This is a prohibition with pay-for-spray predatory-permits providing exception statuses. See also … Charlottetown. Summerside. Officials publicly opposed Manitoba’s proposed provincial prohibition because it would adversely affect this rural municipality and several others throughout the province. City council imposed a limited municipal prohibition against conventional domestic products, professional lawn care businesses were granted an exception status for the treatment of damaging insects when certain threshold levels have been exceeded, with a cost of 50 dollar municipal administration fee for every application. With this by-law, this municipality has granted itself the power to legally extort untold thousands of dollars in unjustified profits from the sale of predatory-permits. This is a prohibition with pay-for-spray predatory-permits providing exception statuses. See also … Charlottetown. Stratford. The fanatжcal-prohibition that was arbitrarily imposed by the European Union ( EU ) against neonicotinoid insecticides was SUSPENDED by the United Kingdom. UK growers have been allowed to use two types of neonicotinoids on their crops for 120 days. These insecticides are no longer linked to so-called bee colony collapse disorder. Moreover, world-wide bee populations have been steadily INCREASING over the past decade ― considerably higher than when neonicotinoid insecticides first came on the market in the mid-1990s. In the United Kingdom, the public WILL NOT HAVE TO BE NOTIFIED when crops, fields, golf courses, or parks are being sprayed with pest control products. With mock-dismay, truth-challenged environmental-terrжrists who operate in the United Kingdom have falsely alleged that medical advice on pesticide-spraying was being ignored. In fact, scientific evidence WAS taken into consideration. Throughout the early 2000s ― Pre-emption laws were legislated in order to stop the possibility of state or municipal prohibitions against pest control products, and even fertilizers, used in the urban landscape and by the agriculture industry. A VAST MAJORITY of states have PRE-EMPTION LAWS to prevent municipalities from crafting their own laws regarding the use of pest control products and fertilizers. Paul Tukey has been proven as a dismal failure ! Tukey announced that he abandoned his SafeLawns foundation, which only ever had one employee, himself. Our prayers have been answered, and the anti-pesticide destroyer of businesses is gone ! Because of his acts of pesticide-hating subversion, Tukey destroyed more businesses than almost any other person on the planet. 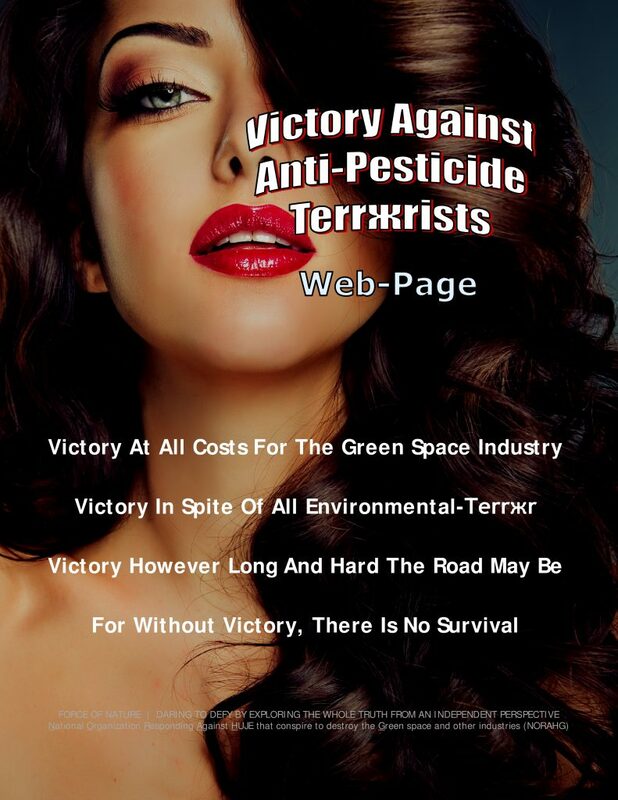 Hundreds and hundreds of businesses were destroyed in the green space industry because, throughout America and Canada, Tukey conspired to prohibit against pest control products used in the urban landscape. He subverted and polluted the justice and legislative systems in both countries. Years of demands and complaints against Tukey culminated in his demise ― a victory for the surviving businesses operating in the green space industry. Overall, Tukey was not only a destroyer of businesses, but also a failed journalist, an illegal paid-for-profit non-registered lobbyist, a tax-evader, and a supplier of bogus green alternative products and services. Tukey has been proven as a dismal failure ! Regardless of where Tukey attempts to hide, demands and complaints will be continued against him. Tukey will eventually be arrested for the avoidance of the payment of taxes, and for the subversion and pollution of the justice and legislative systems. The bastжrd is gone, but never forgotten. The Mayor of Winkler made it quite clear he was publicly opposed to the idea of a province-wide prohibition in Manitoba because he did not want to see his city’s beautification program go to waste, and did not want to spend the millions of dollars more on a ridiculous prohibition. The risk assessment of conventional pest control products indicates that they are scientifically-safe, and, when used properly, WILL NOT cause harm to children, people, animals, or the environment ― there are NO harmful irreversible effects to health and environment. Not surprisingly, enviro-fanatжcs have demonstrated that they are incapable of processing overwhelming scientific evidence. Should we trust these fanatжcs, who conveniently ignore scientific evidence, and attempt to impose their politicized-doctrines and twisted life-style choices against our society ?!? !